that there are certain archetypal disease patterns that we bring with us into the world? Do you have one or more of these chronic problems: skin issues, low grade depression, a sense of there not being enough in the world, common acne, asthma, headaches, insomnia, allergies, colds, bronchitis, earaches? You likely are carrying around one of these archetypal patterns from birth, indeed the first one, called Psora. If so, treating the symptoms won’t get you much other than possibly some temporary relief, even if using herbs or dietary changes. Even treating for the secondary disease patterns as homeopathy won’t help that much. You need Heilkunst, which is the only approach I know of that can systematically address these inherited, archetypal disease patterns, and thus, get to the bottom of chronic, complex disease conditions. Last week we talked about the chronic miasms in general. This week we’ll start to take a look at them in more detail. There are eight such archetypal disease patterns and they follow a particular sequence. There are four major ones and four ‘minor’ ones, just as in music we can have a major and a minor key. They follow the seasons roughly, but as each season is generally divided into an early and later part (early Spring and late Spring, etc. ), we then really have eight ‘seasons’. The first miasm to appear is termed, Psora. It was discovered by Dr. Hahnemann and traced back to the earliest recorded times through various skin manifestations, including leprosy. The word was taken from the Hebrew term ‘tsorat’, which had the meaning of a ‘fault’ or ‘error’. 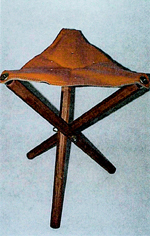 The two chief characteristics of Psora are dryness and skin eruptions, usually dry and scaly. The allopathic term ‘psoriasis’ for one of the many skin manifestations has the same etymological root. However, Psora covers a multitude of skin eruptions, as well as many other symptoms. Although Dr. Hahnemann did not identify the origin of Psora, work by Dr. Batmangelidj on the chronic impact of dehydration suggests that this may have been the source of the emergence of the first chronic miasm. The nature of chronic miasms is that they can then, once acquired, be passed on from generation to generation. Dr. Hahnemann also called Psora, the ‘mother of all chronic disease’ for two reasons. First, the other chronic miasms emerged from it, and second, because each of the chronic miasms also caused the emergence of secondary chronic diseases in a person. The chronic miasms are primary, fixed nature or tonic diseases, and they then give rise to any number of secondary, variable nature or pathic diseases over time in a given individual. The symptoms of Psora are too numerous to list here, but it we can give an idea of the essence of the disease as it tends to manifest in people. Psora is mainly a disease of deficiency at all levels – deficiency of knowledge, thought, assimilation of ideas and nutrition. There are a host of conditions identified by the prefix “hypo” (hypotension, hypochondriasis, hypotrophy) associated with psora. It causes little or no structural change, but much disturbance of functions, feelings and sensations. It seems to involve largely the nervous and reticulo-endocrine systems of the organism. The psoric state of mind feels it does not have enough (of anything, be it money, food, energy, love, warmth, etc.). You may be familiar with it if you know anyone who had to live through the Great Depression or a war. They may hoard food, toilet paper, rubber bands or twist ties, for no apparent reason other than, “You never know when you may need them.” The stereotypical street person illustrates this miasm well, when they are carrying with them every one of their possessions, while wearing virtually all of their clothing, including coats and hats, even in sweltering heat. It is not likely to manifest in such an extreme form in most of us, but the underlying traits will be there. If there is psora in your family history, it will manifest, according to Dr. Roger Morrison in his Desktop Guide, as: Abscess. Acne. Allergy. Anxiety. Aphthae. Asthma. Boil. Bronchitis. Colds. Connective tissue disease. Depression. Dermatitis. Eczema. Headache. Insomnia. Otitis media. Pharyngitis. Phobic disorders. Psoriasis. Scabies. Sciatica. Skin ulcers. Upper respiratory infection (among other conditions). Next week is the minor key of Psora, or the Malaria miasm. Stay tuned. What are Inherited Disease Patterns? that there are inherited factors that affect our health that go beyond our genes? Until recently, everything was either controlled by your genes or simply unexplainable. However, despite millions spent on mapping the human genome, it turns out that not only do we differ much from the common fruit fly when it comes to the number and types of genes, but most of the genes are not linked to anything in particular, and are known as ‘junk DNA’. Biology has begun to understand that genes are only receptors for something, like a radio receiver, namely, signals from the environment. These signals are not only physical, such as sunlight, air, water, food, but also thoughts and feelings. In many ways, we are and become what we eat, feel and think. Biology has also come around to accepting the idea prevalent at the start of the debate about evolution some two centuries ago, that we can inherit certain characteristics and influences that are not strictly connected to genes. In a real sense, we are more than what is contained ‘between our hat and our boots’. In Heilkunst, the idea of inherited disease patterns was discovered by Dr. Samuel Hahnemann between 1812 – 1816, around the same time that the idea of inherited characteristics was proposed by Lamarck and others. Hahnemann spent over 12 years searching for the answer to a problem: despite the clear successes with homeopathy in removing diseases, he discovered that some patients continued to get worse overall. He felt that he was missing something. From diligent observation of his patients, he then discovered that there were certain fixed patterns that could be traced to birth, and also to various disease patterns their parents and even grandparents had exhibited. These were a peculiar kind of primary, constant nature (tonic) diseases.They also had an original infectious nature, once contracted could be passed on to one’s offspring, such as syphillis and gonorrhoea (which Hahnemann named sycosis). So, he termed them chronic miasms in contradistinction to the acute miasms (i.e. infectious diseases) such as scarlet fever, cholera, measles, etc. The passing of chronic miasms from one generation to another does not rely on a physical contact. This, we may consider, belongs to the “unexplainable” part that science hasn’t been able to understand. We may think that during evolution mankind as a whole has inherited some disease patterns from previous generations in a similar sense that we build our thinking and understanding of the world from the generations before us. Each generation or epoch leaves a legacy for the future generations. So, too, disease may be passed on, both in terms of natural diseases (e.g. tuberculosis, lyme disease) and spiritual diseases (e.g. false beliefs). Miasms, chronic or acute, are primary, constant nature (tonic) diseases. Due to the fixed/constant nature of these diseases, there is a specific remedial agent or medicine for each one of them, which made them relatively easy to treat. However, the interaction between a given chronic miasm and the constitution of an individual produces various secondary disease patterns. These were more difficult to treat, as they varied according to each case. But fortunately, treating for the parent or chronic miasms seemed to remove many of the secondary diseases as well. With his discovery of the chronic miasms, Hahnemann gave us the ability to treat for deep-seated, chronic, complex disease conditions that had roots in weaknesses that had little to do with the shocks and traumas of this life, but were there already at conception. The more of these inherited chronic disease patterns we had, the more likely that various shocks and traumas would destabilize us. Thus, as important as it is to remove the cumulative shocks and traumas, it is also critical in many cases to go past the point of conception and reach back into the various disease patterns we brought with us. In our experience, many cases could not be helped without this monumental discovery of Dr. Hahnemann. We encountered many cases where people have tried many other approaches and have had little or no improvement. In the case of children on the autistic spectrum, they are labelled ‘non-responders’. I remember the first time I came across such a case. The doctors and even the natural health community had consistently thrown up their hands. Could Heilkunst do anything, the mother asked? I didn’t know for certain, but knowing that Heilkunst can treat diseases that no one else seems to see or know how to treat, I felt confident it could help at least to some degree. And it did! Since then we have been treating difficult, complex, chronic cases of all types – ones that others have given up on. I still recall one case where a woman did not respond to classical homeopathic treatment and was then told she was ‘incurable’. In tears she came to ask if this was indeed true. I told her that yes, by the tenets of classical homeopathy, this was indeed true, but fortunately, by the laws and principles of the complete medical system that Dr. Hahnemann gave us, Heilkunst, it was not. Her problems were resolved by treating for the shocks and traumas in her life and the inherited miasms. Who would have thought that a discovery some two centuries ago, the chronic miasms, would be confirmed by the most recent scientific understandings in biology (epigenetics). Heilkunst has built in an effective way of treating for inherited disease patterns. In our next blogs we will look at each of the chronic miasms in more detail. Stay tuned. that life is about relationships, and that there are natural and spiritual laws that govern them and determine whether they are healthy for us or not? What has this to do with Heilkunst? The answer is that life is about relationships at all levels of our being, with people, places, and things. The nature of all of our relationships can contribute to our health or undermine it. Ultimately to be healthy is to be in healthy relationships with the world around us and the world within. The first ‘dating manual’ we could say was written over 200 years ago by a German doctor, Samuel Friedrich Hahnemann. Dr. Hahnemann had left the conventional medicine of his day in despair, realizing that it was both blind and destructive of health. It was blind because it was based essentially on guesswork, dressed up as authority, regarding the proper relationship of medicines and disease. The conventional medicine of his day (continued to this day) was not grounded in any real understanding of natural laws regarding the removal of cause (cure), but only based on intellectual speculations, governed by the suppression of symptoms, pretending that the suppression of symptoms was more or less the same as removing the cause. Dr. Hahnemann termed it allopathic, that is, based on no law of disease whatsoever. Not much has changed in 200 years. Today, conventional medicine prescribes drugs based on statistics from the fabled double-blind randomized clinical trials, of which the authorities require that only 2 out of 10 trials can show that the drug being tested is at least better than placebo. In most of these cases, the drug is only marginally better than placebo, not taking into account all the ‘side-effects’ of the drug. Dr. Hahnemann proposed an entirely different approach–to use natural law to match the medicine with the disease. The natural laws of health, known since the Egyptians and Greeks, were based on a more universal law of resonance. Resonance derives from the natural and proper relationship between things, “association as it ought to be”. In the case of matching the right medicine to the right disease, Dr. Hahnemann set down a whole system of medicine, called Heilkunst, through his major works, the Organon of Heilkunst, The Lesser Writings, Chronic Diseases and other writings. Dr. Hahnemann recognized and understood that health depended on the proper relationship or resonance between individuals. He stated that a person’s health would more readily endure ten years hard labour in servitude than one year in a loveless marriage. In an ideal world, true love governs our actions, at all levels. Love derives from a natural affinity for those people and things that are beneficial and healthy for our development according to our purpose on earth. We don’t live in an ideal world, but one created specifically for us so that we can exercise the freedom of choice given us. The power to make choices, our capacity to reason, creates a veil between us and our inner wisdom, setting up a conflict we experience between what we think and what we feel. We are all too often of ‘two minds’ – the brain-mind and the ‘gut brain’ or gut feeling. Science has shown that we actually have two ‘brains’. This split in our perception of the world creates doubt, but it also creates in that space something called the ego. The ego acts out of fear and often in contrary to what we truly want–which is to act out of love. The ego is defensive, suspicious, doubtful and never at peace. Before the maturation of the true self, our relationships to the world are built according to our temporary guardian, the ego. These relationships are often based on fear instead of love. The ego-directed and fear-based relationships stifle our life in all aspects, which can eventuate in physical illness. Heilkunst works on removing the barriers and blockages that prevent the emergence of the true self. The true self takes over from the ego when we are truly healthy. We can then take our rightful place within ourselves. The true self operates out of love and we are guided by love to experience those things that are resonant. Love is the quality at all levels of our being to connect with and to know intuitively within our heart that which is right for each of us, with no questions or doubt. Resonant relationships are derived from love. They are health-giving and nurture our development. They make us fulfilled as human beings. Now, resonance doesn’t mean that we always feel it as positive. Resonance consists of a dynamic, living polarity between that which is consonant (which we feel as positive) and dissonant (which we feel as negative). The polarity of light and dark, expansion and contraction, of gravity and levity is the very basis of creation. Without the one we cannot know the other. The growth of our being and consciousness is due to a living polarity with all things we are resonant with. All love involves a creative tension and it is this tension that allows for growth and evolution of self. When we feel negative about a relationship, how do we then know if it is simply derived from the ego or the dissonant side of resonance? The healthier we become, the more we are able to know, not intellectually, but in a deeper sense, what is resonant to us, and therefore, what is true love. True love is based on a resonance between our true self and the true self of another. Only out of true love comes true happiness; not the subjective happiness from outer things, but the deep, inner sense of peace and fulfillment that comes from being what we truly are, not what the authorities of this world – whether parents, acquaintances, bosses, rulers, leaders – want us to be. No one knows what is good for us except our true self and we cannot know what is ‘right’ for another. We may not like many things, and may feel things as unpleasant, but if we are truly doing what is resonant, then we are in pursuit of happiness, the becoming of who we are. Heilkunst takes us through a journey of learning to act more and more according to the law of love and resonance and to abolish the false law of like and attraction. In the movie Smoke(1995) an older man tells a young man about a decision he made based on his true inner desire and love, which went against his family and culture. He was effectively disowned and banished. The young man asks him if he had it all to do over again, would he make the same choice. The older man looks steadily at the younger man and answers, “What choice?” And that is the answer to all those patients who asked about when they would know if it was the right relationship. When the true self acts, there is no questioning, no doubting. that in Heilkunst, homeopathy is just one small part of a much more comprehensive system of healthcare? What does ‘homeopathy’ mean and stand for as a therapeutic approach? We read about ‘homeopathy’, we use the word, and it is increasingly being used to ‘sell’ things, as it is becoming popular and associated with ‘safe’, ‘effective’ and ‘natural’. But what exactly is ‘homeopathy’, or for that matter, ‘homeopathic’ as in ‘homeopathic medicine’ or ‘homeopathic remedy’? To fully experience light, we need to have experienced dark. To say ‘yes’ to something, we need to have the option to say ‘no’. Life is polarity and we understand by means of a polarity and choice. To understand ‘homeopathic’, we also need to understand ‘homotonic’. In previous posts, we talked about two types of disease – primary, or tonic disease, which had a constant nature, such as chickenpox or cholera; and secondary, or pathic disease, which has a variable nature. ‘Homeopathy’ involves a specific method for treating the secondary, pathic diseases using the natural curative law of similar; ‘homotonic’ is the method for treating the primary, tonic diseases. The founder of Heilkunst, Dr. Hahnemann, initially developed a method to treat the tonic diseases based on identifying the cause (‘homotonic’), whether a given trauma (such as an accident or emotional shock), a drug, or a germ. However, once a tonic disease is within a person’s organism, it can give rise to other, secondary diseases. The secondary diseases in many cases will dissolve on their own once the underlying tonic disease is removed according to the tonic disease jurisdictions, as discussed in previous blogs. However, some secondary diseases can only be removed through another method, by looking more closely at the disease expressions and symptoms besides the cause itself. This is where the ‘homeopathic’ prescribing comes in. A secondary disease can be identified and a curative ‘homeopathic’ medicine can be found for it by analyzing the characteristic symptom image that it produces. Each secondary disease creates a unique symptom picture. While one disease may have some symptoms in common with others, the particular combination and sequence (pattern) is unique, like a barcode. We must be aware that it is not a mechanical process but rather an etheric capacity to ‘see’ the disease image expressed through the characteristic symptoms. All clinical health practitioners and physicians would appreciate the importance of cultivating the ability to observe patients. Once you have this symptom picture you can then match it to a ‘rogue’s gallery’ of disease pictures containing the characteristic disease image of each known secondary disease. This ‘rogue’s gallery’ is called the homeopathic materia medica. Most disease pictures are gathered through a method called a “proving”, that is, by giving relatively healthy persons very small, usually highly diluted doses of a given substance (mostly derived from plants, animals, minerals), and recording the characteristic symptoms that are produced (disease image). With the development and spread of homeopathy more and more disease symptoms in the materia medica books are now collected from clinical observations. Now we can come to the understanding that ‘homeopathy’ means similar suffering: ‘homeo’ = similar; ‘pathic’ = suffering, from the Greek word ‘pathos’. It is in the suffering or symptoms of the patient that we are looking for the curative medicine or remedy with the ‘homeopathic’ method. So, homeopathy is that method of identifying and treating the secondary or pathic diseases according to the law of similars. That’s why its discoverer, Dr. Samuel Hahnemann, took the Greek words ‘homoios’ (similar) and ‘pathos’ (suffering or symptoms) to coin the term. We therefore may use the term ‘homotonic’ for the method that looks at the primary or tonic diseases by means of the causes directly instead of the symptoms/suffering and the remedy is found based on the similar cause/irritants/function. Treating for the secondary or pathic diseases, is much like detective work. You have the description of a criminal from witnesses and the observation made by the detectives on the scene, and then you try to match this picture of the criminal in terms of his appearance, distinguishing markings, behaviour and M.O. (modus operandi), to a catalogue of known criminals in a police database. In contrast, the primary or tonic diseases can be identified from their cause. For example, if you are sick or in pain, and this is in some way connected to or following an accident, then you don’t need to focus on the symptoms, but only on the cause – the accident. Take a very simple case – you have a pain and you know that it is there because you were stung by a bee. You don’t need to examine the symptoms; simply give yourself a dose of Apis mellifica, a medicine made from the honey bee, and the pain will be gone. If the pain does persist in some form, it might be because the sting traumatized a nerve ending and in that case you would take the remedy for nerve trauma, which is Hypericum perfoliatum. When a medicine is used to remove a tonic disease, it becomes a homotonic remedy, and when a medicine is used to remove a pathic disease, it is a homeopathic remedy. Here’s a somewhat more complex example. A woman came to see us suffering from a mysterious rash. Many others had prescribed various drugs, creams, salves and potions – all focusing on the skin symptom itself – but to no avail. In the consultation she mentioned that the rash had appeared shortly after a fearful car accident. She had never had any skin problems prior to the accident. After ascertaining the nature of the shock (essentially emotional), we gave her the remedy for that type of shock and her skin symptoms disappeared within a few days. We could give many more such examples. Each time when you suffer a tonic disease, this disease can engender one or more secondary or pathic diseases in you. To get at the pathic diseases, you need to examine the symptom picture or image produced and see if you can then find a medicine that produces this same picture in a healthy person. In the case of more than one pathic disease, you have to identify each one according to its characteristic symptom picture and match this disease picture to a medicinal agent that is known to produce a similar disease image in a healthy person. Testing of medicines on healthy persons, using safe, diluted doses is termed a ‘proving’. Once we know what symptoms a given medicine will produce in a healthy person, we can then use that medicine to remove a similar disease in a sick person. We all know that cutting onions produces various characteristic symptoms, like a hay fever condition or certain symptoms of a cold. If you then come down with something such as a cold that produces symptoms similar to that produced by cutting onions, you could take the homeopathic version, Allium cepa, and remove the secondary disease behind the symptoms. To conclude, homeopathy only treats secondary diseases; it cannot really treat primary diseases. For that you need to use a different method or approach, ‘homotonic’ prescribing. In Heilkunst, we include both the homeopathic and homotonic method and apply each according to the nature or type of disease in a given case. The term ‘homeopathic’ is also often used for various ‘natural’ formulas that contain herbs, vitamins, and other ingredients in a highly diluted form. But neither the ‘natural’ aspect, nor the dilution makes something ‘homeopathic’. It is only homeopathic when it is applied to a secondary or pathic disease according to the law of similars (in this case similar suffering or symptoms = pathos), which involves a substance that has been proved or tested in its effects on healthy persons (‘provers’) and these negative effects (only temporary in the provers) are then matched to a similar disease picture in a sick person. Thus, Heilkunst includes homeopathy, but goes far beyond simply homeopathic treatment, as this only is able to treat secondary, pathic diseases, not the deeper primary or tonic diseases. Everything you always wanted to know about Heilkunst…. What better way to really launch the HCH blog than to explain Heilkunst from top to bottom? This is an article from the Heilkunst Journal, 2009, reprinted here with the author’s permission. In 1810, a German doctor, Samuel Christian Friedrich Hahnemann, issued a formal explanation of a radical new system of healthcare. This work, Organon der Heilkunst, went through six editions between 1810 and his death in 1843. Dr. Hahnemann has since become famous worldwide for creating a treatment approach called homeopathy. And yet, homeopathic treatment is only one part of a much more complex and comprehensive approach to healthcare bequeathed by the genius of Dr. Hahnemann.The rest of the story of Hahnemann’s complete system, Heilkunst, has yet to be told. Reducing Dr. Hahnemann’s complex system to homeopathic treatment is akin to reducing the entire system of Chinese medicine to acupuncture. While such a reduction is understandable historically, due to past ignorance and faulty translations, it is demonstrably false. Modern research has now revealed the rest of the system hitherto unseen or ignored, and there remains no impediment to its rightful acknowledgment. The purpose of this article is to set out the nature and extent of Dr. Hahnemann’s complete system of healthcare, and also to place that system and Hahnemann within a broader context. Heilkunst is not an isolated or erratic boulder on the landscape of Western science and philosophy, but an integral part of a stream within Western thought that provides a clear, rational foundation for Dr. Hahnemann’s ideas and connects them with other important thinkers and scientists both prior to and after Hahnemann’s time. Hahnemann’s system of healthcare is based on the understanding of disease as dynamic (energetic) in nature and origin, rather than material or physical. 3.therapeutic education (the establishment of a healthy mind through means other than regimenal measures or medicines). Heilkunst contains a complex disease classification (nosology), a systematic method of preparation of medicines (pharmacopeia), and a comprehensive database of remedial substances (materia medica). The epistemological foundation of Heilkunst derives from a significant stream of Western thought going back to Greek thought, mostly the pre-Socratic thinkers, but starts more formally in modern times with Sir Francis Bacon. It then picks up various contributors to German Idealism, such as Schelling and Hegel as well as the approach to the investigation of nature developed by Goethe. On the English side, we have the works of Drs. Hunter, Brown and Saumarez, and the extensive and intensive mind of Samuel Taylor Coleridge. More recently, expansions of the original contributions to Heilkunst have been made by the medical teachings of Dr.Rudolf Steiner, the founder of anthroposophical medicine, and Dr. Wilhelm Reich, founder of orgonomic medicine (orgonomy). In essence, Heilkunst, as conceived by its founder, constitutes a structured method for the evaluation (anamnesis), understanding (diagnosis), treatment (therapeutics) and management of disease and illness in a given individual, at all levels – body, mind, souland spirit. Until recently, Dr. Hahnemann’s teachings had been restricted to only one aspect, homeopathy. Because of this, the term homeopathy has come to have two meanings: one, to refer specifically to the use of a medicine based on a match between the symptoms of a disease in a patient and similar symptoms produced by the medicine in a healthy person (known as “provings”); and, two, to refer generally to Hahnemann’s works and teachings as a whole. Homeopathy is the specific approach developed by Dr. Hahnemann to deal with a certain type of disease, a “pathic” disease. In this approach, the physician takes the symptoms of a given disease in a patient as constituting the image of the disease itself, and then seeks to find a medicine that has been shown to produce a similar disease image (called an “artificial disease”) in a healthy person. Hence he coined the term, from the two Greek words, “homoios” (similar) and “pathos” (suffering or symptoms). Dr. Hahnemann’s work and treatment approaches, however, went beyond homeopathy. When he formally presented the set of principles for his radical revision of Western medicine, he entitled the treatise, Organon der Heilkunst. It encompasses diet, nutrition, psychotherapy, energy manipulation and detoxification, as well as several approaches to treating disease, including, but not limited to, homeopathic prescribing. His first work after his abandonment of the prevailing medical approach, A Friend of Health, covered hygiene, diet and nutrition, and mental health. His next significant work, a long essay in 1796, laid down the basic principles of Heilkunst, included in which, but not restricted to, was the homeopathic approach. 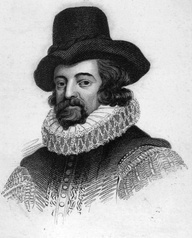 The term Organon has Greek and Latin roots and means “a set of principles for use in scientific or philosophical investigation.” It goes back to the Greek philosopher, Aristotle (used by his students to refer to the full set of his works on logic) and Sir Francis Bacon (Novum Organum), who wrote in Latin. The term Heilkunst is a German term that is difficult to translate. There is no direct equivalent in English. It literally means“the art of rendering a being whole,” derived from the two German words “heil” and “kunst.”“Heil” has a dual meaning in German, one related to health (compare the Old English, hale, as in “hale and hearty”), and one involving a greeting (as in the English “hail fellow, well met”), although both are related, not to mention heil as in heil-ig (holy) and Heil-and (savior). The term “Heilkunst” then is properly used to refer to the complete system of medicine developed by Dr. Hahnemann, and the term “homeopathy” refers more narrowly to one of the uses of medicines according to the law of similars, done on the basis of matching the symptoms of a disease in a patient to a similar symptom picture produced by a medicine in a healthy person (known as a “proving”), mentioned above. Although the elements of Heilkunst are derived largely from the writings and teachings of Dr. Samuel Hahnemann, their discovery and elaboration had to wait for more recent times. Part of the reason was the necessary emphasis that Dr. Hahnemann himself placed on homeopathy in his writings. It was a new, yet complicated approach to the application of the ancient law of cure known as the law of similars, one that required significant elaboration, so it is perhaps not surprising that this element received the most attention in quantitative terms in his works and from his followers. Part of the problem can be laid at the door of poor translations, so that until recently, there was significant distortion in English translations, and many of the foundational concepts were effectively eliminated or obscured. German and English form a certain polarity; where German has one term, such as heilen, English has two (cure and healing), and where English has only one, such as knowing, German has two (wissen and kennen). Also, where Dr. Hahnemann used various precise terms in German to refer to a key element of his approach to medicine, namely the concept of a living power at the root of life, health and disease. This concept and its epistemological basis was little understood, if at all, by translators. Thus, the various terms in German involving this living power (Lebensprincip, Lebenskraft, (and its polarization into Erhaltungskraft and Erzeugungskraft) Lebensenergie, Dynamis, Kraftwesen) were conflated into one English term – “vital force” – on the mistaken notion that all of this referred in some way to the theory prevalent in the 19th Century of a vital force that directed the activities of the physical body (vitalism). This conflation hid deeper insights to be found in Dr. Hahnemann’s works. However, translation problems cannot be the problem when it comes to German-speakers working with the original German writings. The deeper and more important reason lay in the fact that until recently, no one had understood the broader philosophical context within which Hahnemann was working and writing.This context is critical to being able to understand the complexity of his system and its driving principles. What is unique to Hahnemann is not the law of similars. This concept had been known to medicine for centuries prior. It is not the idea of testing medicines on healthy persons (provings), as this had been suggested earlier, though not carried out as systematically as by Dr. Hahnemann. It is in the understanding of the polar nature of life, and in particular in the understanding of the supersensible forces in sense objects as well as of the independent life of the mind above nature. 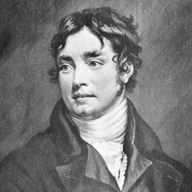 These are the ideas that came to life in the cultural and philosophical developments of Europe known as Romanticism, German Idealism and aspects of English Associational Psychology, what Samuel Taylor Coleridge, a prime figure in this cultural development, termed “the Dynamic System of Thought.” Hahnemann, though practically oriented, worked within and was an integral part of this system. The key to unlocking the other aspects of Hahnemann’s system, and also placing homeopathy properly within that system, lay in the understanding of this broader philosophical and theoretical context. It was not until recently that a scholar who had dedicated his life to studying this system of thought applied himself to Hahnemann’s works. 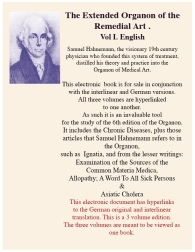 The result was the first translation of Hahnemann’s main works, the Organon of Heilkunst and the Chronic Diseases, that revealed what lay in his system beyond homeopathy. Steven Decker, of Santa Barbara, California, also created the first translation wherein the reader can follow the thought process of the translator word by word to the final rendition, but also one in electronic form that allows the researcher to search on the same term in English and its various German counterparts, or to see how the same German term can be variously translated into English. 3.the basis for matching the diagnosis with the curative agent (therapeutics). The foundational writings of Heilkunst are the following main works: Organon der Heilkunst, Chronische Krankheiten (Chronic Diseases), and a collection of articles, Gesammelte kleine Schriften (Collected Smaller Writings, very misleadingly translated in English as The Lesser Writings). The Organon der Heilkunst is the formal treatise created by Hahnemann to expound his discoveries, but it is supported by and linked to his other significant works, both initially and throughout his life. It is also the most difficult title to translate into English (see above). The fundamental basis of Heilkunst is found in its “dynamic” view of disease, which places it in what Samuel Taylor Coleridge termed “the Dynamic System of Thought” in Western philosophy. This system or stream of thought in Western philosophy is not well known. It’s origins can be seen in Bacon’s efforts to rid the mind of various “idols” or delusions to which it was prey in order that it could be used as a fit and proper scientific instrument for a systematic and methodical inquiry into nature, both mother nature and human nature; not just the outer appearances (natura naturata), but also the inner, living content (natura naturans) (see in particular the Novum Organon included in Bacon’s Great Instauration). It is next to be found in the stream of German philosophy termed German Idealism, which sought to penetrate the veil between nature’s outer form and inner content using those aspects of mind beyond the intellect (Verstand). Where English has only one word for the concepts mind and thinking, German has several, reflecting that the act of thinking and consciousness involve the whole of man, not just the brain (see for example, modern research on the second “brain,” the extensive neural system found in the gut). The main figures in German Idealism are Fichte, Schelling, and Hegel, followed by I.M. Fichte,Troxler, Deinhardt, Scchlege, Planck, Preuss, Grimm and Hamerling, to name a few. Later figures, and ones that came after Hahnemann’s time are those involved in the development of phenomenology, such as Brentano, Husserl, Heidegger, Wittgenstein and Gadamer. The significant scientific writings of Wolfang von Goethe from 1780 to 1830 set the basis for an inquiry into natural phenomena that was based on a form of cognitive participation using other aspects of mind than the intellect. 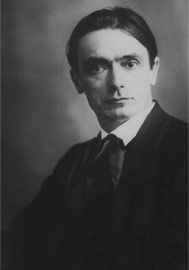 These efforts, and those of the German Idealists and Romanticists,to get at the“Spirit and the Wesen in nature” (the supersensible aspects of matter) were expanded on and developed further by Rudolf Steiner, the founder of anthroposophical medicine, which he saw as an extension of Heilkunst. At the same time, the work of Dr Wilhelm Reich into the dynamics of sexuality led him to a deeper understanding of the nature of the generative power discovered by Dr. Hahnemann, and provided a means of understanding the sub-sensible or elemental aspects of nature. All of this has been advanced in terms of insights and better integration by a lifelong student of this Dynamic System ofThought, Steven Decker. 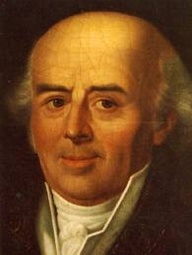 As noted above, his studies allowed him to translate the Organon and the Chronic Diseases and to reveal aspects of Hahnemann’s discoveries that had been previously hidden by misunderstanding and ignorance about the context within which Hahnemann lived and worked, and about his predecessors and also his heirs. Dr. Hahnemann’s research led him to reject the prevailing notion of his day, and still a dominant one to this day, that disease is something material, that is, that science and medical science must concern itself with sense-data. This is based in the Western philosophical tradition from Descartes, Hume, and Hartley to the influential works of Immanuel Kant in the 18th Century.Thus, in this view, if there is a skin lesion, then the problem is to be found in the skin itself or in some chemical imbalance, or hormonal dysfunction or blood disorder, for example. Treatment is then directed at the offending material cause (materia peccans). At the same time, Hahnemann rejected the vitalist tradition that derived its idea from medieval medicine, such as the works of Paracelsus and Von Helmont, positing an abstract notion of some “vital force” not grounded in any natural observed reality that was above the material realm and directing it. Disease was seen here as an imbalance in a person’s life that could be corrected by natural measures or spiritual means, an approach that is at the base of much of the natural health field today. Hahnemann’s research led him to the conclusion that health and disease involve an interaction between the dynamic element of a human being, which suffuses, but is not identical with, the physical body, and the inner essence of various external factors, whether nutritional or inimical, traumatic (physical or emotional) or microbial, psychical or somatic. He concluded that this “living principle” or “living power” (Lebensprincip or Dynamis) is the key to understanding and treating disease and sickness. Since the Dynamis mobilizes the physical body, the physical body cannot become sick unless the Dynamis is first disturbed.The symptoms of abnormal function at the level of the psyche and soma are then the result of this disturbance. Thus, the cause of sickness must be sought beyond the material or sense-world. Sickness ultimately is supersensible in nature, or to borrow from Aristotle’s students, metaphysical (beyond the material or sense-based realm). The physical body simply reflects the derangements at the supersensible or dynamic level. Also, while Hahnemann understood the role of infectious agents (well before modern microbiology), the real agent of disease was not, in his view, the physical carrier (microbe), but the energetic or dynamic element in that agent that was able to act on the living or dynamic element of the human organism. Hahnemann was convinced that he had placed his new system of medicine on the firm foundation of natural law and principle. This then provided for the rational ordering of therapeutics, on a basis which is empirical, but not materialistic, because it is grounded in nature and in principles derived from natural law. Without this foundation, any system of medicine for Hahnemann was without principle (allopathic) and had the potential to cause great harm because it relieved by suppressing symptoms, but did not remove the underlying cause. For example,if a person has a headache and takes an anti-inflammatory, the pain may be reduced or even removed, but the cause of the headache is not addressed. For Hahnemann, the result of a disease process (inflammation) can never be the cause of itself, a basic principle of logic. Anti-inflammatory drugs are then suppressive of the symptom, not curative. Hahnemann further discovered a distinction between disease and disorders due to imbalance. This is based on his discovery of the dual nature of the living principle or Dynamis. Disease he considered to be a dynamic impingement on the generative side of the Dynamis; imbalance is a disturbance of the sustentive power (what traditionally was termed the vis medicatrix naturae or inner healer). The generative power (Erzeugungskraft) is that power responsible for cell division, fertilization of the egg, and the creation of new ideas. Proper generative function is palingenesis. The sustentive power (Erhaltungskraft) is the power that maintains homeostasis, keeping things in balance. Because of this dual nature of the Dynamis, there is a distinction in the disease process between the initial action (Erstwirkung) of the disease agent, which involves an impingement on the generative power of the Dynamis, and the reaction or counteraction (Gegenwirkung, Nachwirkung) of the sustentive side, much as in physics where each action produces a counter-action. Thus, the initial action of disease is seldom felt, much like the initial moment of conception, as we can see in the initial infection of typical infectious diseases (e.g., chickenpox). This is followed by a prodromal period wherein the sustentive power readies to react and restore balance due to the initial action of the disease agent. The counteraction of the sustentive power produces the various symptoms we associate with disease (fever, rash, discharges, etc.). The dual nature of the disease process has a counterpart in the dual nature of the remedial (Heil) process, also as between the initial action of the medicine, which destroys the disease lodged in the generative power, and the counter action of the sustentive power to restore balance again,which now succeeds as the disease has been destroyed. This polarity also provides a distinction between the concepts of cure and healing. Cure involves the removal of disease (curative action or lysis) by use of the right medicine acting on the generative power of the Dynamis (all medicines being such by virtue of their power to so act). Healing is the restoration of balance (homeostasis) by the sustentive power side of the Dynamis following the removal of disease, and also often involves various symptoms known as the healing reaction or crisis. Hahnemann’s research and experiments had led him to rediscover the ancient principle of cure, called the “law of similars” (similia similibus). This law, known to the Egyptians and Greeks, stated that a disease could only be cured by a medicine that could cause that same disease in a healthy person. The problem in the past had been one of dose; crude doses used according to the law of similars were dangerous, and because of that this method had been largely abandoned by Hahnemann’s day in favor of the law of opposites (contraria contrarius), or for simply using regimenal measures to support the natural healing power. If the principle of similars, which Hahnemann concluded was grounded in natural law, is curative, then using medicines on the basis of the law of opposites is suppressive. Heilkunst does include the application of the law of opposites, but within the proper jurisdiction which involves the healing function of the sustentive power in diet, nutrition, lifestyle, energy work, psychotherapy, drainage, detoxification, etc. There are several applications of the law of similar resonance, one of which is based on the overt symptom picture (totality of characteristic symptoms) of the patient, which is matched to the symptom picture or image produced by a given medical agent in a healthy person, to which Hahnemann gave the name homeopathy. Another is to make a remedy from the causal disease agent, either through a characteristic discharge, such as tubercular sputum (Tuberculinum), known as a nosode, or by isolating the disease agent itself, such as by using a dynamized and potentized form of cortisone to remove an iatrogenic disease caused by that drug. This is known as an isode. Practitioners in Hahnemann’s time developed the use of nosodes, which are homeopathic dilutions of the disease agent made from an excretion of a person suffering the disease in question, of which Hahnemann approved. Rabies nosode, for example, is made by potentizing the saliva of a rabid dog. This provides a ready and effective means of finding a curative medicine for a new disease not yet identified. The appropriate substance to treat a disease is one which induces a similar disease state in a healthy person. Heilkunst uses a vast range of isodes, that is, those made from all manner of disease agents (drugs, poisons, chemicals, vaccinations, etc.,) related to the pathogenic and iatrogenic disease jurisdictions. What symptoms are associated with various substances is determined by provings, in which the researcher imbibes the remedy and records all physical, mental, emotional and modal symptoms experienced. A homeopathic repertory is a listing of remedies by symptom, used to determine the most appropriate medicine for a given disease. The appropriate application of a medicine can also be determined from clinical experience based on the knowledge of the applicable principle governing a disease jurisdiction. Since the cause of disease is not material, but lies in a disturbance of the dynamic or energetic level of our being, the diagnosis must address itself to this level. Hahnemann developed an extensive classification of disease. First, he distinguished between those diseases that are idiopathic, that is, self-standing, autonomous and not dependent on other diseases, and those that are secondary and derivative of a prior disease. The self-standing or idiopathic diseases have a constant nature, that is, they always show up the same, such as the classic infectious diseases (measles, typhoid, cholera, yellow fever, etc.) and are termed “tonic” (Stimm-based disease in German) diseases in Heilkunst. They are addressed by means of the homotonic principle, that is, by means of remedies that are specific to a given disease. An example would be Apis mellifica for the homogenic disease from a bee sting. The secondary, derivative diseases are variable in nature. That is, it depends on the nature of the interaction between the tonic disease and the patient as to which new diseases are spun off. These Hahnemann termed “pathic” diseases. They are addressed by means of the homeopathic principle. Second, Hahnemann distinguished disease according to temporality. 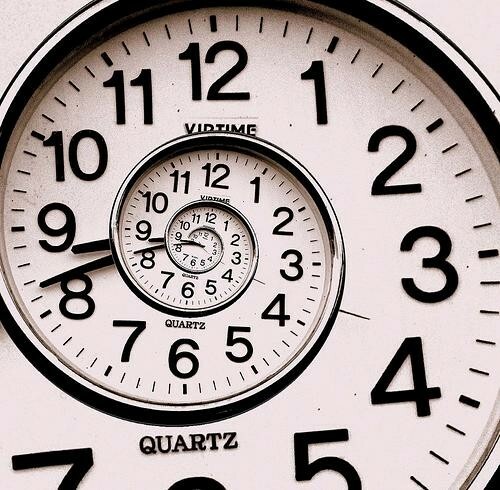 There were diseases that were acute and those that were of long duration (distinction by quantity of time) and diseases that were of a self-limiting nature versus those of a chronic nature (distinction by quality of time). Thus, measles would be an acute disease of a self-limiting nature, whereas malaria would fall in the category of a chronic disease, but if the person just contracted it and was suffering symptoms, it would be acute, and if the patient had been suffering for several years from periodic flare-ups, it would be of long-duration. He also distinguished between the various layers of pathic diseases and the different jurisdictions of the tonic diseases. Within the tonic disease realm, he identified several: those based on a certain disease “irritation,” such as mental, emotional and physical traumas (homogenic); on improperly prescribed medicines (iatrogenic); infectious agents (pathogenic); and finally diseases caused by various false beliefs that cause us to act in ways against our overall health (ideogenic). 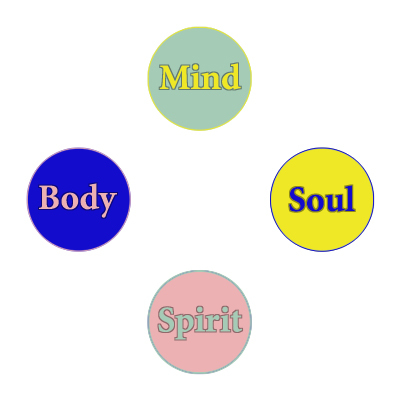 Hahnemann’s nosology also encompasses the spirit, soul, mind and body of man, providing a basis for assessing the impact of disease on the various levels of our being. It further includes the different elements of disease, from symptoms that are pluralized (plurific) in nature (changes in feelings, functions and sensations that the patient reports) and those that are unific in nature and require the participation and discernment of the practitioner, such as“the Feeling,”(das Gefühl) or“the Impression” (das Eindruck) of the disease. In the area of acute diseases, Hahnemann distinguished those that were simply flare-ups of underlying chronic diseases, from true acutes, and here he distinguished between epidemic and sporadic on the one hand, and acute versus chronic miasms on the other. A miasm is a disease of constant nature, the term meaning“a noxious influence”in the medical terminology of his time. Hahnemann wrote a separate book on his discoveries of the chronic miasms, and therein also distinguished these from the chronic diseases that were spun-off from these chronic miasms. The chronic miasms are tonic diseases, and the chronic diseases are pathic in nature. From the very beginning of his new system, Hahnemann came to the conclusion that medicines, to the extent that they can affect the human being, must be able to act dynamically and that their power to act as medicine lay in this dynamic effect. He also was conscious of the serious negative effects of the crude drugs of his day and finally of the problem in using crude doses and the law of similars. All of this motivated him to seek to dilute the crude nature of medicines and to seek that level at which the negative effects of the medicine was minimal or nil, while still preserving a therapeutic (positive, curative) effect. 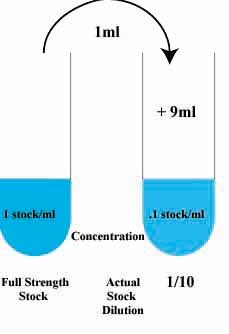 In the process of dilution, he shook the vial strongly, sometimes with impact, sometimes with a downward motion (succussion). As he increased the dilution, he noted that the therapeutic effect increased rather than decreased. Being a noted chemist, he knew about the limits set by Loschmidt’s Number (or Avogadro’s Constant as it is generally known in English); based on his system of dilution, the centesimal scale, this limit would be reached after the 12th serial dilution. However, in keeping with his insights regarding the dynamic action, he continued beyond this limit, finding that the higher dilutions increased in therapeutic power, and he came to refer to them as potencies. The use of medicines in highly diluted doses is the most overtly controversial aspect of Dr. Hahnemann’s new system of medicine, but it is not essential to the application of the law of similars: the key to the law of similars is a similar resonance between medicine and disease, not whether the medicine is potentised or not. While medicines prepared according to Dr. Hahnemann’s rules are often referred to as “homeopathic medicines,” it is their application in an actual case against disease, not their dilution or potency level, that makes them “homeopathic,” or “isotonic” or “homotonic,” as the case may be, depending on the degree of similitude involved. Hahnemann also developed, towards the end of his career, a new potency scale (a dilution of 1:50,000) which is often termed the LM scale, but is more properly called the Q scale. This scale is less well-known and developed as it has only come to light in the last 50 years. Research on the appropriate application of each of these two potency scales, as well as the D or X scale, is ongoing. A fundamental principle of Heilkunst is that there can only be one remedy for a given disease state. Hahnemann discovered that a person could have more than one disease at a time, each of which might be contributing to the overall symptom picture of the patient. Hahnemann clearly set out, right from the beginning of his new system of medicine, that the practitioner should first seek to treat the diseases of a constant nature, as these can more readily be identified in most cases by cause (e.g., Arnica for contusion disease), and since they are fixed in nature, they are always treated with the same medicine, thus simplifying treatment. The homeopathic approach to the remaining pathic diseases could then more easily be used. However, because it was possible for there to be more than one disease at a time in the human organism, this also opened the possibility of the prescribing of more than one remedy at a time to the patient. Out of this understanding, and from his knowledge of the dual nature of disease, Hahnemann, through his own work with intercurrent and alternating remedies and the experiments of a close pupil, Dr. Karl Aegidi, used and worked with dual remedy prescribing. Initially (1833–36) he gave two medicines in the same solution (simultaneity of ingestion), but due to political pressures and misunderstandings switched to the use of two medicines within the duration of action of the other (simultaneity of action). In the light of difficulties treating more complex cases, Hahnemann undertook further research and developed his theory of chronic miasms, which are diseases of a fixed nature of the pathogenic type (originally infectious, but also inherited) which give rise to all the (secondary) chronic diseases, which are pathic in nature. Hahnemann identified three chronic miasms: syphilis, sycosis, and psora, and there is evidence that he also discerned a fourth that is now termed tuberculosis. Dr. Elmiger of Lausanne, Switzerland uncovered a specific sequence to these miasms, which confirms and extends what Hahnemann himself wrote and taught, and which he termed the Law of Succession of Forces. This allows for a more effective and systematic treatment of various disease conditions that have an inherited component, even when that component is latent or not readily recognizable in the symptoms of the patient. Recent research has uncovered several more chronic miasms that also fit into the Law of Succession of Forces. This was later amended by James Tyler Kent who noticed that when disease was suppressed or several groups of symptoms (diseases) developed in a patient over time, the remedial process proceeded in the reverse order of the emergence. This provides the basis for the sequential treatment of traumatic disease states, from most recent back through time to conception, followed by the sequential treatment of the chronic miasms. The pathic diseases, existing in layers, are dealt with as they arise at various stages along the way. If some symptoms become worse almost immediately after taking a similar medicine, this represents an apparent worsening of the natural disease, but is really an exacerbation due to the adding of the symptoms of the similar medicine to those of the original disease in the patient. This so-called “homeopathic aggravation” is of short duration and generally only found in acute diseases. There is also a later worsening of some symptoms, and even a return of old symptoms, essentially in chronic, complex cases, which Hahnemann called the “counteraction” and which is often referred to as the healing reaction. The “homeopathic exacerbation” involves the initial action of the curative medicine affecting the generative power of the Living Principle or Dynamis. The “healing reaction” involves the counteraction of the sustentive power of the Living Principle against the medicine (artificial disease). Western Medicine recognized, even into Hahnemann’s time, two natural laws of therapeutics. The law of opposites (contraria contrarius) involves the restoration of balance or homeostasis, and is applied in diet, nutrition, supplements, various energy healing modalities, psychotherapy, and generally the entire range of the natural health field. The law of similars (similia similibus) involves the annihilation of disease states using a medicine that has a similar resonance or disease effect to that of the disease in the patient. Because of the power of this law to harm the patient if the dose was not correct, it was largely abandoned and replaced by the approach set out by Hippocrates (Let food be your medicine), involving the law of opposites, on which the modern natural health movement is based, albeit unconsciously. The genius of Dr. Hahnemann was to discover a way to attenuate the dose so that it could be rendered harmless as to chemical side effects, what is often referred to as dynamization or potentization. Dynamization refers to the use of the dynamic aspect of a substance, while potentisation refers to the increase in strength of the dynamic or energetic action. Because the prevailing system of medicine prescribed substances or therapies without any conscious knowledge or application of one or other of these two natural laws of remediation, Hahnemann termed it “allopathic”, meaning that it was without any principle of application grounded in natural law. 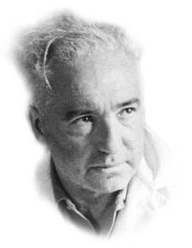 Later research by Wilhelm Reich was able to uncover the full extent of disturbances connected with the generative power in man, thus rationally expanding on what Hahnemann had discovered empirically. The principle underlying tonic remedies was taken to new heights by Rudolf Steiner in his lectures on medicine. Rudi Verspoor has been studying Hahnemann’s medical system for almost three decades and has acquired extensive clinical experience, particularly relating to complex and chronic cases, in the application of this system. His abiding interest in history and philosophy has led him to undertake continual research into various problems and issues that have arisen in traditional “homeopathic” treatment.This research has led to the development of a systematic dynamic approach to therapeutics that is now being offered through the Hahnemann College for Heilkunst. His publications include: Homeopathy Renewed, A Sequential Approach to the Treatment of Chronic Illness (with Patty Smith); A Time for Healing; Homeopathy Re-examined: Beyond the Classical Paradigm (with Steven Decker); The Dynamic Legacy: Hahnemann from Homeopathy to Heilkunst (with Steven Decker), and Autism:The Journey Back, Rediscovering the Self Through Heilkunst. Note: Most of the older texts are only available as reprints from Indian publishers. All of the texts should be available at the two main on-line bookstores: Minimum Price Books (www.minimum.com) and Homeopathic Educational Services (www.homeopathic.com). These are three linked PDF books (there are instructions at the end of the English version on how the links work). A written version, which is based on the Decker translation is the edition by Wenda Brewster O’Reilly,Birdcage Books,Redmund,Washington.